Kojima H, Fujimiya M, Matsumura K, Younan P, Imaeda H, Maeda M, Chan L.
reverses diabetes in mice. Nat Med. 2003 May;9(5):596-603. Kojima H, Fujimiya M, Matsumura K, Nakahara T, Hara M, Chan L.
Acad Sci U S A. 2004 Feb 24;101(8):2458-63. 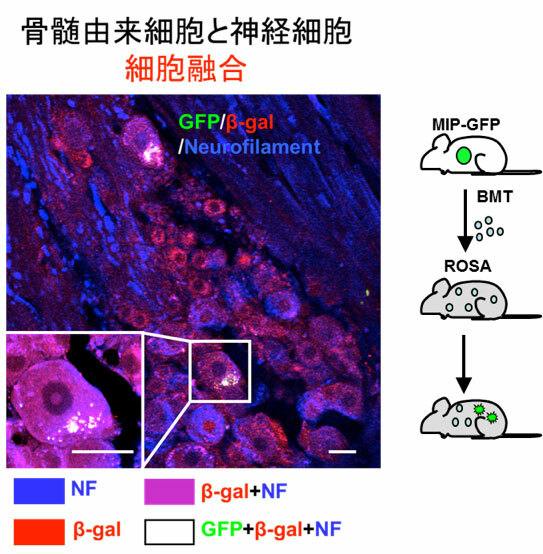 Terashima T, Kojima H, Fujimiya M, Matsumura K, Oi J, Hara M, Kashiwagi A, Kimura H, Yasuda H, Chan L.
The fusion of bone-marrow-derived proinsulin-expressing cells with nerve cells underlies diabetic neuropathy. Proc. Natl. Acad. Sci. U.S.A., 102: 12525-12530, 2005. 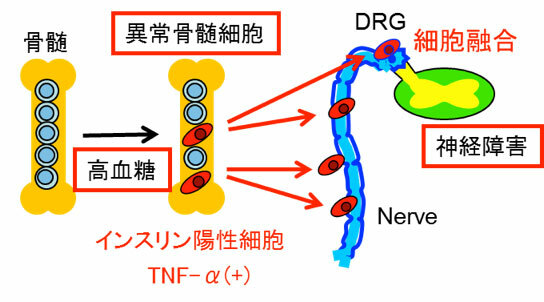 Yamakawa I, Kojima H, Terashima T, Katagi M, Oi J, Urabe H, Sanada M, Kawai H, Chan L, Yasuda H, Maegawa H, Kimura H.
Inactivation of TNF-α Ameliorates Diabetic Neuropathy in Mice. Am. J. Physiol. Endocrinol. Metab., 301 (5) : E844-852, 2011. Terashima T, Kojima H, Chan L.
Bone marrow expression of poly(ADP-ribose) polymerase underlies diabetic neuropathy via hematopoietic-neuronal cell fusion. FASEB J., 26 (1) : 295-308, 2012. Katagi M, Terashima T, Okano J, Urabe H, Nakae Y, Ogawa N, Udagawa J, Maegawa H, Matsumura K, Chan L, Kojima H.
Hyperglycemia induces abnormal gene expression in hematopoietic stem cells and their progeny in diabetic neuropathy. FEBS letters. 588: 1080, 2014. Urabe H, Terashima T, Lin F, Kojima H, Chan L.
Bone marrow-derived TNF-α causes diabetic neuropathy in mice. Diabetologia. 58: 402, 2015. 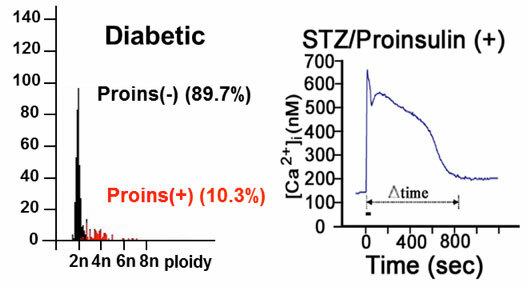 Urabe H, Terashima T, Kojima H, Chan L.
Ablation of a small subpopulation of diabetes-specific bone marrow-derived cells in mice protects against diabetic neuropathy. Am J Physiol Endocrinol Metab. 310(4):E269-75, 2016. Nobuta H, Katagi M, Kume S, Terashima T, Araki SI, Maegawa H, Kojima H, Nakagawa T.